Good morning, and welcome to the 2013 Conference of the Mormon Transhumanist Association. 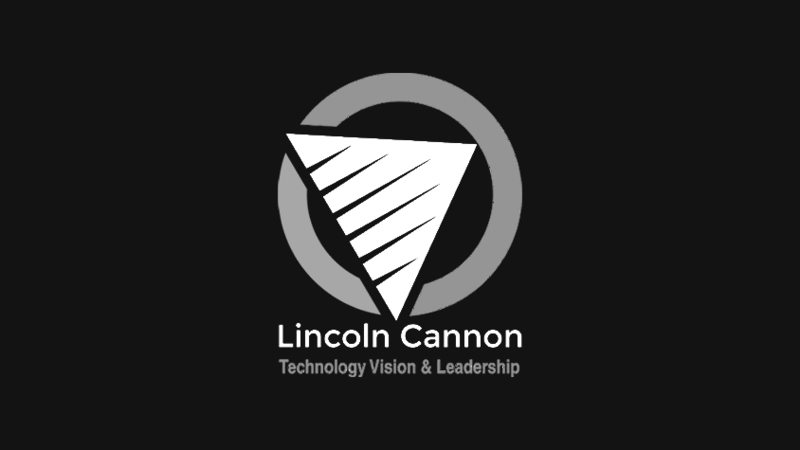 My name is Lincoln Cannon. I currently serve as president of the association by appointment of the board of directors, which is elected by voting members of the association. I’ll lead this morning session of the conference. On behalf of the association, thank you for being here. I’d like to start today by commenting on the purpose of this association. The Mormon Transhumanist Association stands for the proposition that we should learn to become Gods, and not just any kind of God, not the God that would raise itself above others, but rather the God that would raise each other together. We should learn to become Christs, saviors for each other, consolers and healers, as exemplified and invited by Jesus. Mormonism itself is an immersive discipleship of Jesus Christ. It’s not so much a religion about Jesus as it is the religion of Jesus. With Jesus, we would trust in, change toward, and fully immerse our bodies and minds in the role of Christ. We would also endure in that role, working to reconcile ourselves, our relations and world, through suffering and even death if needed, anticipating the day of transfiguration and resurrection to immortality in eternal life (a fullness that our afternoon keynote, Richard Bushman, will say more about). 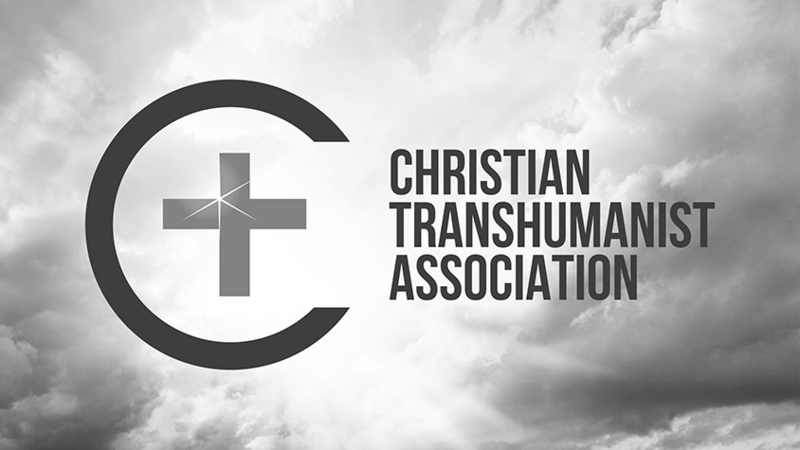 So while we may not be Christian by creed, we’re plainly Christian by Gospel (and I hope our special guest, Carl Teichrib, will comment on this while sharing his Christian criticism of religious Transhumanism). Mormonism is also a school for prophets. The name of the religion itself reminds us of a book that would extend the Bible, in part by claiming yet other books would also extend the Bible. In turn, that book reminds us of a man that would speak and act for God, in part by saying everyone should speak and act for God. 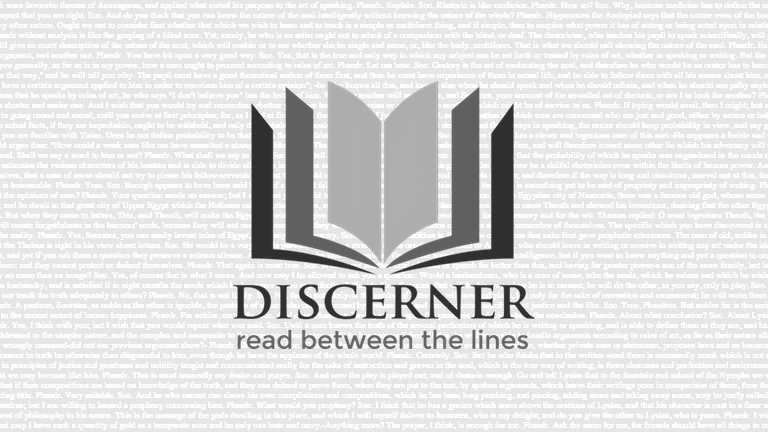 The Book of Mormon and Joseph Smith are not fortune-tellers, but rather forth-tellers that would express a sublime esthetic, a Holy Spirit, provoking us to speak and act so as to fulfill their prophecies, in part by learning to become prophets ourselves. For some, prophecy is not a living proposition, let alone religion or God. They wonder if we’ve not heard that God is dead, and they’re right to wonder. Following their Gods, traditional religions are dying, particularly in technologically advanced and prosperous places. Observing this, many have embraced the secularization hypothesis that religion itself is dying. However, that hypothesis is showing its age, and it’s now embraced more by anti-religious voices in popular culture than by experts, among whom another hypothesis is coming of age. If God is merely a supernatural superlative, he very well may be dead, but positing such as God misses the function of God. God always has been and is at least a posthuman projection, an extension and negation of human desire, imagined and expressed within the constraints of human thought, language and action. That's not to say God is only so much. To the contrary, as demonstrated by the New God Argument, we've moral and practical reasons to trust that others have already realized posthuman projections (and I hope our special guest, Peter Wicks, will comment on this while sharing his atheist criticism of religious Transhumanism). However, no matter your attitude toward faith, God is at least this much: a posthuman projection. Understood in terms of that function, God clearly is not dead and never was, except perhaps to the extent recurring death is part of evolution. Likewise, if religion is merely genuflection to the supernatural, it very well may be dying, but again that overlooks function. Most of us have regarded religion too narrowly, and much that’s supposed to be secular actually functions as religion. For example, some claim inspiration from science or ethics. Awe fills us as we contemplate the vastness of space or the voice of the people. Yet the inspiration is not merely in the reductionist implications of science or the procedural adjudications of ethics. Rather esthetics are woven through them, tying them together in meaning, and that’s why we care about science or ethics. Esthetics shape and move us, and at their strongest, they provoke us as a community to a strenuous mood. When they do that, they function as religion, not necessarily in any narrow sense, but esthetics that provoke a communal strenuous mood are always religion from a post-secular vantage point. Of course, none of this means science or ethics should or even could be displaced by religion. To the contrary, science should continue to reconcile our contending accounts of experience, as ethics should our contending accounts of desire. Each should expand its reach to the uttermost, always better informing our esthetics, affecting each other in a feedback loop. Yet even as science and ethics increasingly empower us, let's not fool ourselves into supposing they'll ever be finished or sufficient in themselves. We care for and use them only in accordance with esthetics, which presents itself as foremost among them in the most vital moments of life, when we we must act, according to whatever wisdom and inspiration we might have. Life cannot wait. How will we act? Will we see beauty in science? Will we feel unity in ethics? Will we care, and how much will we care? Could our degree of concern make a practical difference? These are questions that will matter to all except perhaps the most apathetic, escapist or nihilistic among us. It's not enough that we can describe our world through science or imagine a better world through ethics. We also want to make a better world. We can do that through engineering and governance, but it's also not enough that we can make a better world. We want to feel it, sometimes powerfully, and more: we want to share our powerful feelings with others in ways that move us together. As engineering and governance are action on science and ethics, religion is action on esthetics. As engineering and governance are the power of science and ethics, religion is the power of esthetics. If we can raise our eyes from the altar of religious and anti-religous dogma, we’ll see that the hand raised to finish the dying God is the sign of the oath to the resurrecting God. If we can keep our eyes raised, resisting the carnage below, we’ll also see the hand is our own and it holds a blade that’s aged and stained. That’s when we have a choice, either to repeat the old sacrifices of our ancestors, or finally to make the new sacrifice that they always implied: we can put ourselves on the altar and learn to become Gods. Put differently, the negation of one posthuman projection always implies another until humanity chooses to become posthumanity. Transhumanism is the ethical use of technology to expand our abilities from the human to the posthuman. For some, this conjures up images of comic book cyborgs with gun arms and laser eyes. Of course Transhumanism is partly about body enhancement, but you'd probably agree that a gun arm doesn't qualify as an enhancement, either practically or esthetically. For better examples, look at the technology that enhances you right now. Some of you are using computing devices that extend your ability to communicate. You might be watching through glasses, contacts or surgically-modified eyes, or listening through hearing aids or cochlear implants. You’re probably wearing clothing that enhances your ability to adapt to environmental change. Under those clothes, you might have implants or prosthetics. Through your blood, drugs may be relieving pain, heightening attention, or facilitating growth. That's just now. Think through the rest of the day leading up to this moment. Think through your life. Consider human history. If technologically-enhanced humans are cyborgs then we’ve always been cyborgs. At least in context of the past and present, that’s not particularly controversial. The controversy arises when we look forward. How will technology change us in a few years or decades? What about a thousand years from now? How many drugs, surgeries, prosthetics and other enhancements are there between humans and posthumans, as different from us as we now are from our prehuman ancestors? Is it possible to change that much? If so, should we? Sometimes we talk about humans becoming more robotic or robots becoming more human. When we do, our language uses a dichotomy that is increasingly insufficient for describing not only the possibility space, but even the actuality space. Does a human receiving a prosthetic limb or an artificial heart become less human? Can a body originating from artificial DNA, conceived through an artificial process, or gestated in an artificial environment ever be human, even if it's eventually indistinguishable from a natural human? For that matter, how natural are the humans we actually know? Are agriculture and medicine natural? The blurring between natural and artificial is as ancient as the stick our distant ancestor wielded to extend her reach, and the leaves donned to enhance his skin. In an important sense, a synthesis of anatomy and tools made us human, empowering us above and differentiating us from our prehuman ancestors. In that sense, perhaps we've always been robots, for at least as long as we've been humans. Of course, when we think of robots, most of us usually think of cold metal or hollow plastic. If that's what robots are then we aren't and never should (or could) be robots. Why do we want to enhance ourselves? The answer’s not new. We want to enhance ourselves for all the reasons we've made tools since the beginning of history. Tools empower us. So we'll continue to build more and better tools, and their synthesis with our anatomies will become increasingly seamless and intimate, because we want to and because we can, for the power it provides. Like all power, tools and their intimate evolution into body and mind enhancements are not inherently good or evil. Rather, they’re both risks to mitigate and opportunities to pursue according to whatever wisdom and inspiration we might have. On the one hand, tools can empower us against each other. Some hoard, and others deplete. Elites form, totalitarians control, and revolutionaries revolt. Artificial catastrophic risks well beyond those of nuclear weapons present themselves. Perhaps we could realize the worst interpretations of the Apocalypse. On the other hand, tools can also empower us for each other. Already we've used them to build, relate, console and heal in ways our distant ancestors imagined only Gods to have the capacity. Perhaps someday (and I can’t wait to hear more about this from our morning keynote, Aubrey de Grey) we might transfigure ourselves into ageless bodies. We might even resurrect each other as sublime minds that relate with unfathomable compassion and conceive thoughts that in themselves constitute nothing less than the creation of new worlds. In any case, Transhumanists affirm that we can and should change through continued ethical use of technology to expand our abilities from the human to the posthuman. If you're a Mormon, you should be a Transhumanist. 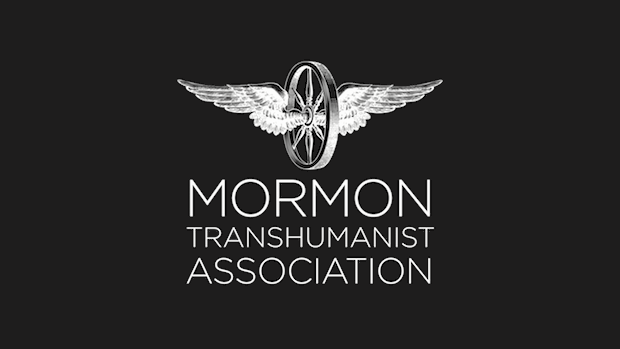 To identify as a "Mormon Transhumanist" is not at all redundant, but to identify as a "Transhumanist Mormon" is redundant, because Mormonism mandates Transhumanism. In other words, you can be a Transhumanist without being a Mormon, but you can't be a Mormon without being a Transhumanist, at least implicitly. 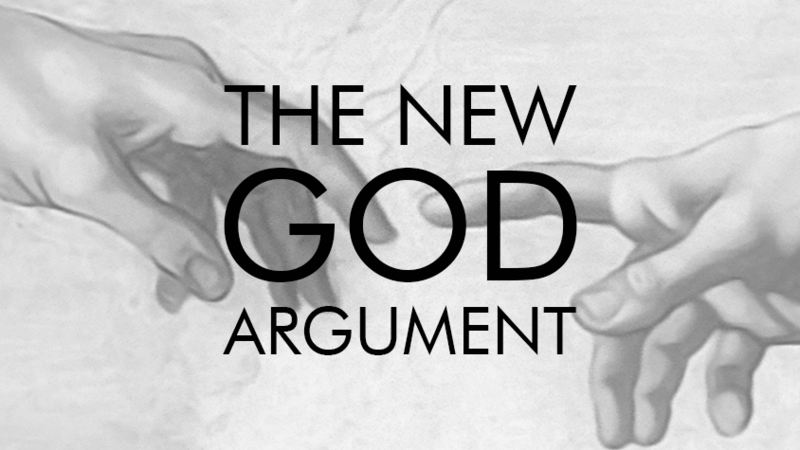 Of course this is a controversial claim, but we can make an argument from Mormon scripture. Let’s begin with the premises. First, God wants us to use ordained means to participate in God's work. This premise is based on scriptures like First Nephi 3, which says God prepares ways for us to accomplish his commands; Alma 60, which says God won’t save us unless we use the means he’s provided; and D&C 58, which says we shouldn’t wait for God to command us to engage in a good cause. The second premise is that science and technology are among the means ordained of God. This premise is based on scriptures like First Nephi 17, where God commands Nephi to construct a ship to save his family; Alma 37, which says God gave Nephi a compass to guide his family to the promised land; D&C 88, where God commands us to study and teach everything from astronomy and geology to history and politics; and D&C 121, which says we will learn all the laws of the natural world before attaining heaven. The third premise is that God's work is to help each other attain Godhood. This premise is based on scriptures like Third Nephi 12, where Jesus commands us to be perfect like God; D&C 76, which says God would make us Gods of equal power with him; and Moses 1, which says God’s work is to make us immortal in eternal life. The fourth and final premise is that an essential attribute of Godhood is a glorified immortal body. This premise is based on scriptures like Ether 3, where the Brother of Jared sees that God is embodied; D&C 76, which says God has a body glorified like the sun; D&C 93, which says full joy requires a body, elements are the body of God, and intelligence is the glory of God; and D&C 130, which says God’s body is as tangible as that of a human. From these four premises, we can reason. Since God wants us to use ordained means to participate in God’s work, and since science and technology are among those means, God must want us to use science and technology to participate in God’s work. Next, since God wants us to use science and technology to participate in God’s work, and since God’s work is to help each other attain Godhood, God must want us to use science and technology to help each other attain Godhood. Finally, since God wants us to use science and technology to help each other attain Godhood, and since an essential attribute of Godhood is a glorified immortal body, we can conclude that God wants us to use science and technology to help each other attain a glorified immortal body. This conclusion is both a religious mandate, in that it purports to express the will of God, and a description of the Transhumanist project, advocating the ethical use of technology to expand human abilities. If we arrived at this conclusion by valid reasoning, which we did, and if we began with premises that accurately reflect Mormonism, as I believe we have, then Mormonism mandates Transhumanism. 1) We seek the spiritual and physical exaltation of individuals and their anatomies, as well as communities and their environments, according to their wills, desires and laws, to the extent they are not oppressive. 2) We believe that scientific knowledge and technological power are among the means ordained of God to enable such exaltation, including realization of diverse prophetic visions of transfiguration, immortality, resurrection, renewal of this world, and the discovery and creation of worlds without end. 3) We feel a duty to use science and technology according to wisdom and inspiration, to identify and prepare for risks and responsibilities associated with future advances, and to persuade others to do likewise. That’s the purpose of the Mormon Transhumanist Association, and that’s what we’ll do at this conference. We have an excellent lineup of speakers today, and I’m excited to be here. Next up, believe it or not, is the Mormon Transhumanist Barbershop Sextet!